The vision for a different style of education aimed at reaching those on the margins of mainstream began in the summer of 2010 and the project has grown and developed since then. Eagle’s Nest seeks to develop educational packages that are dedicated to helping the most vulnerable young people in society, where they can develop a pride in who they were created to be by recognising and valuing the uniqueness they bring to the world. Courses aim to develop self-esteem and self-belief so that students can rise above their own expectations. It is a place where teamwork is part of the journey, and where a sense of belonging is experienced as the students learn together for the duration of their course. At its heart is the idea that to enable positive steps forward, a young person may first need to deal with hurts from the past. Building emotional resilience are part of the everyday curriculum. Through commitment, time, patience, ongoing relationship and practical opportunity, Eagle’s Nest Project aims to help those in a vulnerable place to see their potential, and to support them to change their own futures for the better. The aim is to achieve this through intensive and bespoke courses aimed at supporting the most vulnerable. Some young people need intensive support to help to bring change to their circumstances and Eagle’s Nest seeks to deliver solutions to this issue for Schools, Local Authorities, (both in terms of education and children in care) and Pupil Referral Units with other possible partners developing in time. The long term aim is to see learning centres established, (with residential options where needed), set in small units with a family feel where 6-12 young people live and learn together.  Eagle’s Nest Project has been set up with a vision as a national project, but is beginning to be established in the Midlands as an initial base.